Abstract: There is a tendency in modern times for life to be divided into strictly separated categories—our music is divided into bins at the record store according to sometimes arbitrary genre distinctions, courses offered by one university department often cannot be counted towards a degree in another department, and students from middle school through college are outraged when they learn that “spelling counts” in a history paper. These distinctions, which are second nature to us even in childhood, were not as numerous or as strict in the medieval European understanding of life. Even when there were systems of division, such as the classification of scholarly subjects according to the Trivium and Quadrivium, the classifications were seen as interconnected and were meant to be studied together. I don’t believe we can hope to truly understand any aspect of medieval culture if we examine these aspects in isolation according to our own categories. My hope is to come to a greater understanding of some part of medieval culture by examining in combination two aspects of this culture that are not normally combined in modern study—sacred architecture and sacred literature. 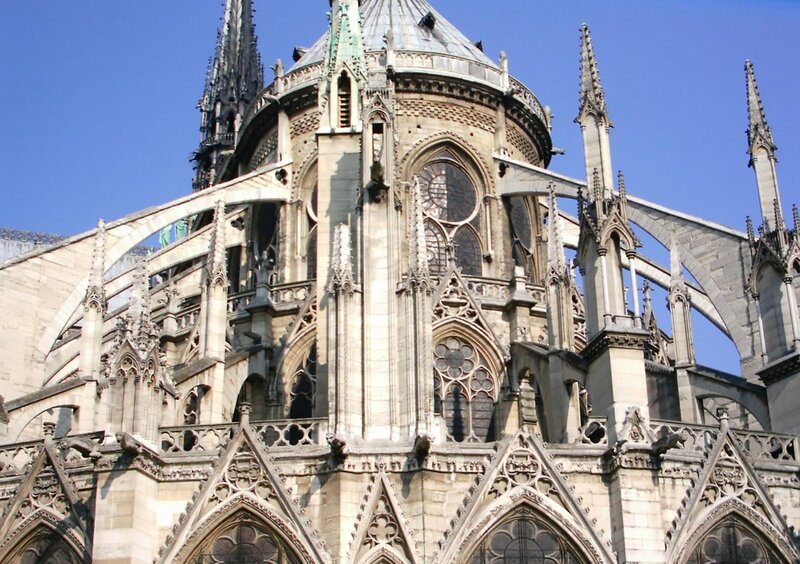 I will explore correlations in the use of sacred geometry, number symbolism, light metaphysics, and optics in Gothic cathedral architecture and sacred literature of the same period. I will also explore the evolution of cathedral architecture from the Romanesque viii model to the Gothic model in terms of correlations with an evolving approach to popular theology as reflected in the literature of the period. More specifically, I will look at the use of sacred geometry and number symbolism as a central element of sacred architecture regardless of style and period and the increasing importance of light metaphysics and optics in Gothic architecture as a reflection of a changing approach to popular theology culminating in such thirteenth and fourteenth century writings as those of Robert Grosseteste, Chaucer, and Dante, particularly his Divine Comedy, which present to a popular audience a complex theology which would previously have been reserved for a clerical audience.